It’s not known exactly how many people died on D-Day 6th June 1944 when the Normandy landings took place, but a fairly conservative estimate is about 9000 (including about 3000 French civilians). 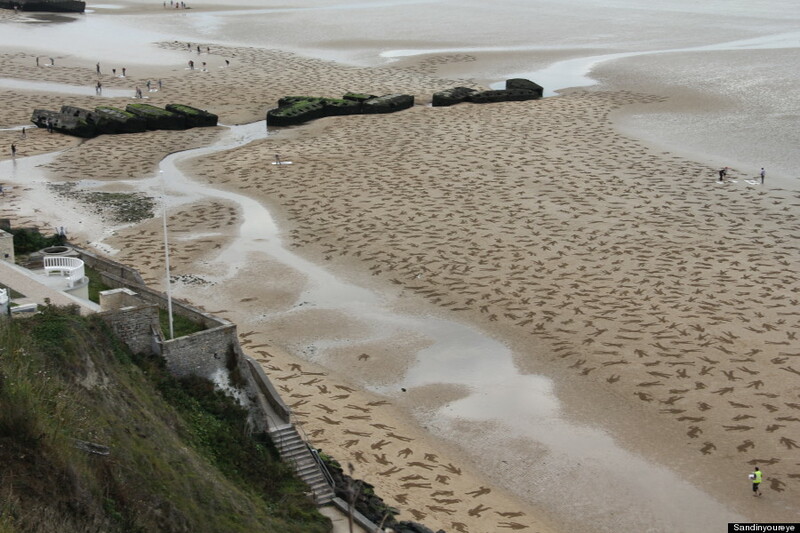 In September last year, the beach at Arromanches (code-named Gold ) was the site of a remarkable art installation called The Fallen 9000 during which hundreds of volunteers stencilled images of 9000 fallen soldiers into the sand. It’s a moving image, not least because the figures were soon to be washed away by the incoming tide. Let’s hope the courage and self-sacrifice of the soldiers who gave their lives that day are not forgotten too. Seventy years on, fascism is apparently once again on the rise in Europe. We should not forget where that road has led in the past.